The 1 day range for BTC is $5858.6 – 6251.9. It is currently down 4.48% in the last 24 hours. Well any hope for a bounce back ended pretty quickly here. We saw BTC come up about 2.5% yesterday and climb up near the $6200 on its way to better support, only to sink back down and hit below $6000 today and sit where it is now. 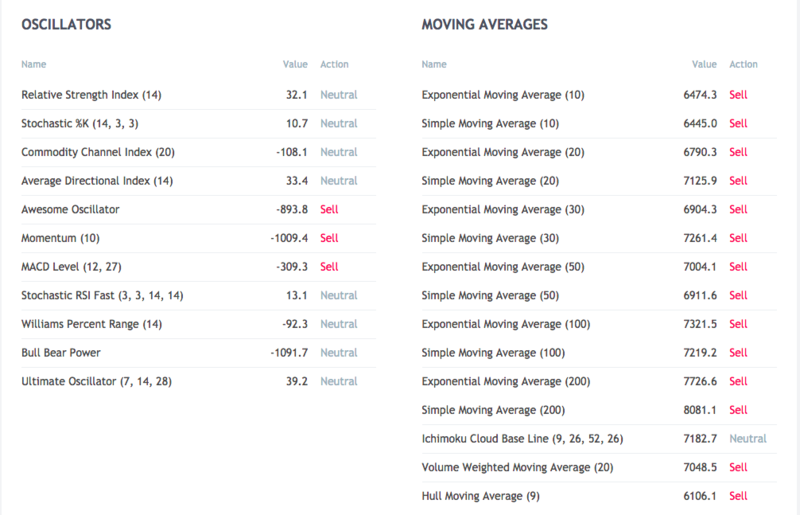 Indicators have flipped from turning Neutral to back to Sell and Tradingview has BTC has a “strong sell” against USD at the moment. BTC needs some good news or else it looks like we’re seeing a pattern of bouncebacks being met with losing days immediately following. To illustrate those technicals, we’ll show two LONG charts today. Many altcoins featured on this list can be traded on Binance.